While that is a very noble idea and one worth supporting we all know how long it takes for the government to do something right! By the time this bill would come up for a vote and then be implemented you might already have gone through a half a dozen cell phones, three desktop computers and two televisions! Does this mean you should be hanging onto all that electronic waste while you waiting for this all to be sorted out? There is no need to do that especially when there’s a Junk King right here in San Antonio that can handle all your computer recycling and disposal needs. Junk King San Antonio is part of a national franchise specializing in the removal of all that stuff that clutters up our lives. There is a level of quality that has come to be expected of a Junk King business. 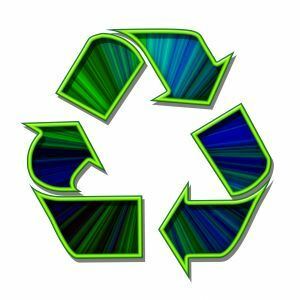 One of the main missions of the Junk King is to divert a majority of all items they collect away from landfills and into proper recycling centers. Junk King San Antonio is no exception. When it comes to computer recycling and disposal these are very delicate matters to handle because of the hazardous materials that are released when electronic waste is crushed. In other words, you can’t just toss out a computer in the garbage; it has to be properly disposed of. Keep in mind that if you have a computer you want to get rid of and hire the hauling crew they don’t just have to pick up that one computer and call it a day. They’ll be showing up at your home with a big empty truck that you can fill to the rafters with all your junk. This can include an old coffee table or bedroom set you want to get rid of. It can also mean tossing out all those engine parts and rusty bumpers that might be collecting dust in your garage. No item is too big or too small for the Junk King crew to take away. You can start with your old computer and end with all the junk in your San Antonio home! This entry was posted in e waste recycling, Junk King San Antonio, San Antonio Junk Recycling, San Antonio Junk Removal and tagged Get Rid of Computer San Antonio, San Antonio Computer Recycling, San Antonio Electronics Disposal, San Antonio e-Waste, San Antonio Junk Removal on February 1, 2012 by Mike Hasselbalch. Last updated August 2, 2017 .